Over 500 people came together at The Valley, Evesham with the goal of celebrating fitness by having one huge green party where people were dousing, pouring, and pelting each other with powdered green paint! The Asparagus theme celebrates the start of the local Asparagus season for the Vale of Evesham. In 2017 the locally grown vegetable achieved EU Protected Geographical Indication (PGI) status to Vale of Evesham Asparagus. In its third year, the event was supported by established rock group Chasing Deer and Touch FM's radio hosts Si and Ollie. 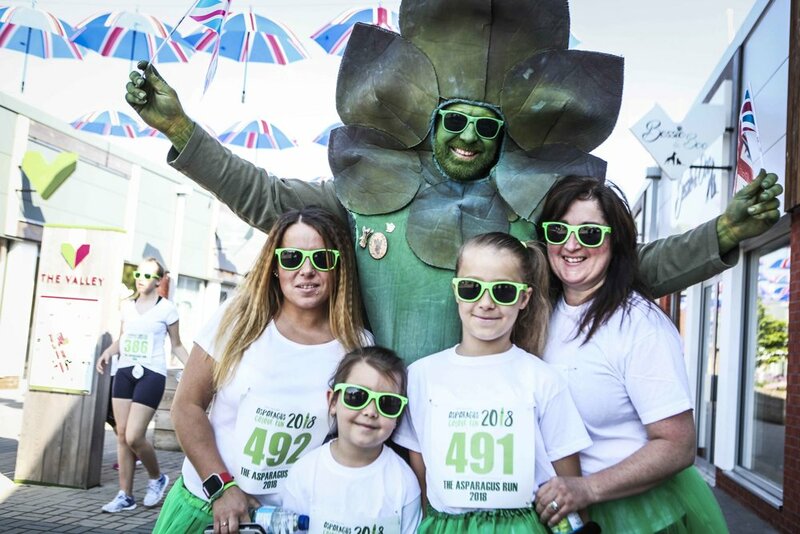 The British Asparagus Festival team were also involved, seeing Gus - The Asparagus Man enjoying selfies with runners throughout the event! 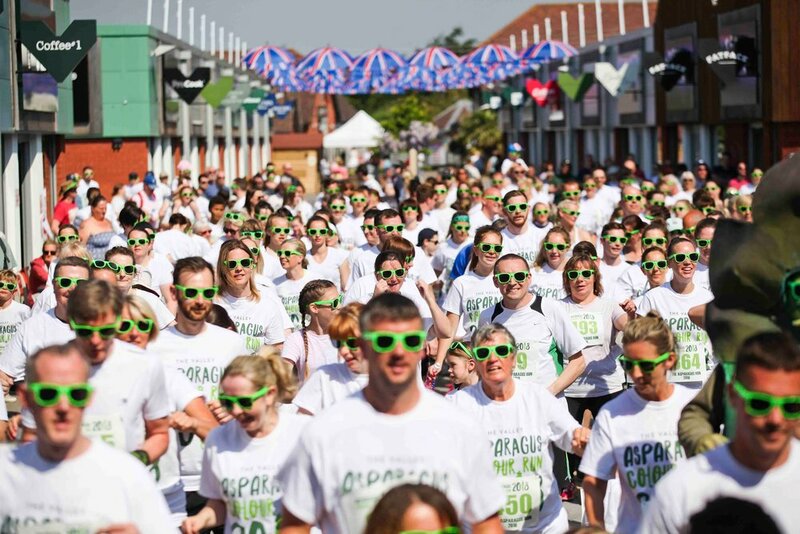 Phil Maclean, Marketing Manager at The Valley said "Making exercise fun is what this event is all about, and it was great to see regular experienced runners as well as families participating in an organised sporting event for the very first time".